Enjoy the beautiful fall colors! Cool nights make campfires extra special. 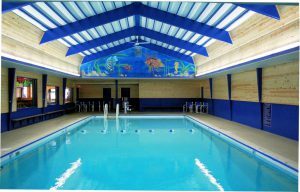 Swim in the heated indoor pool. Get special discount pricing off the regular camping rate when you camp with us! September 30th 2019 through October 12th 2019. Get this special pricing in conjunction with the 4 for 3 free night specials. This offer applies to sleeping cabin rentals too!! Ya gotta love a double discount.